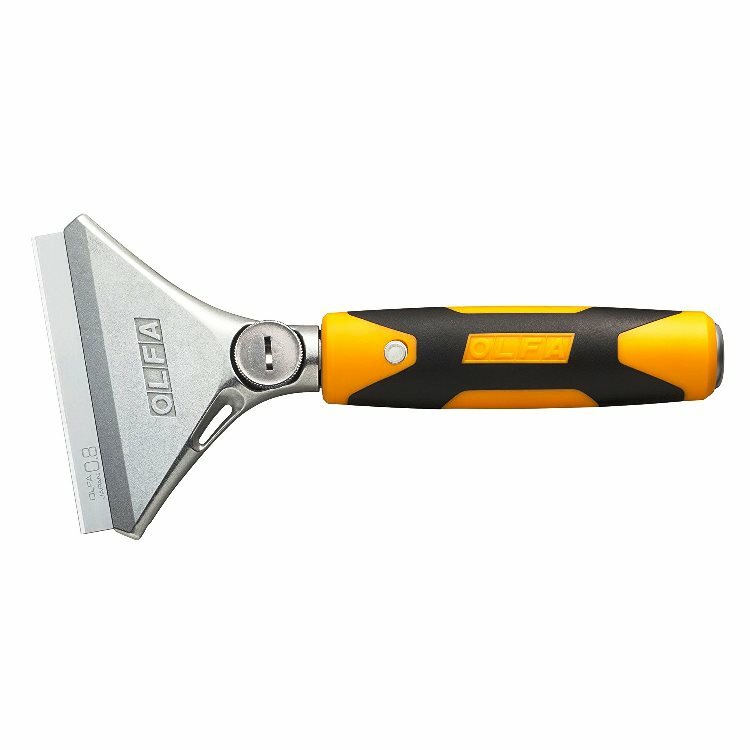 OLFA Scraper XSR-200 Model 1119195 is an extra heavy-duty scraper with 200mm arm for extra heavy-duty jobs. Developed on request by industry professionals, these hard working scrapers feature extra-tough, die-cast metal handles, rounded with a non-slip rubber grip for comfort and stability and engineered with a built-in durable steel striking hammer tip for maximum striking power. Includes a 4" (100mm) wide dual-scrape, carbon tool steel blade (BS) for maximum coverage and speed - use either sharp side or rough-edged side, depending on the job. Easy, tool-free blade change. Handy "One-thumb" screw allows for extra blade tightening with a coin or screwdriver. Comes with 1 BS blade. Uses replacement blades BS and BSF. 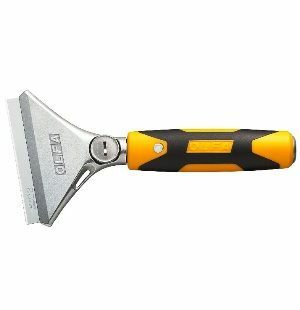 A good scraper for removal and prep work activities for floor, wall, roofing and ceiling applications. OLFA Handles Are Guaranteed Forever. OLFA Scraper Blade BS-10B Model 1086566. 4" Replacement Blade, 10 Per Pack. CLICK ON IMAGE AND SCROLL DOWN TO RELATED PRODUCTS FOR A LIST OF SCRAPERS THIS BLADE WILL FIT. OLFA Scraper Blade BSF-6B Model 1086565. 4" Replacement Blade, Flexible. 6 Per Pack. CLICK ON IMAGE AND SCROLL DOWN TO RELATED PRODUCTS FOR A LIST OF SCRAPERS THIS BLADE WILL FIT.